These are the best mods you can download for Skyrim Special Edition on PC, Xbox One, and PlayStation 4. The Elder Scrolls V: Skyrim Special Edition is now available, and gamers are already able to download hundreds of awesome mods. Check out the best gaming rigs from NAG LAN 2016 at rAge Expo 2016. Check out these amazing, custom-built Star Wars gaming rigs. Bethesda is ready to offer mod support for PlayStation 4, but Sony will not let PS4 gamers use mods in either Fallout 4 or Skyrim Special Edition. If you’re looking for something to liven up your No Man’s Sky game, these mods aim to do just that. Check out the wildest and craziest video game mods the internet has to offer. 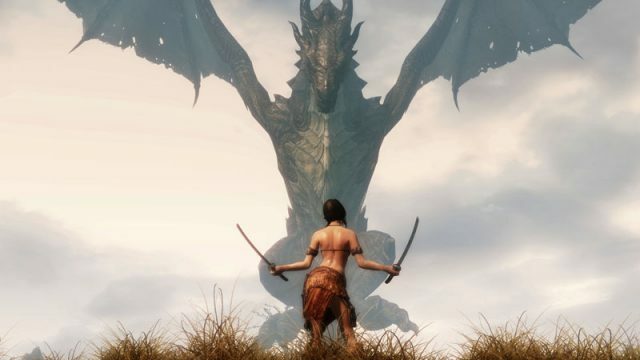 Let’s take a look at the differences between Skyrim mods and the upcoming remaster. The Creation Kit Update (“the mod update”) for the Playstation 4 version of Fallout 4 has been delayed indefinitely. This is when you can expect Fallout 4 mods on consoles. Check out these 10 awesome video game mods. Rumours have surfaced that Valve may be open to selling user-created content on its Steam Workshop again. Beef up your homestead’s security with the robot-building mod for Fallout 4. A PC modder has decided to up the ante with the already-spiffy Battlefront graphics. Fallout 4 is a great foundation, and now it’s time to build on it. PC modder turns post-apocalyptic Boston into the Royal Rumble. Your graphics card won’t thank you for this. Take to the streets of Los Santos in Iron Man’s beefed-up armour. Hot damn, GTA V looks amazing.